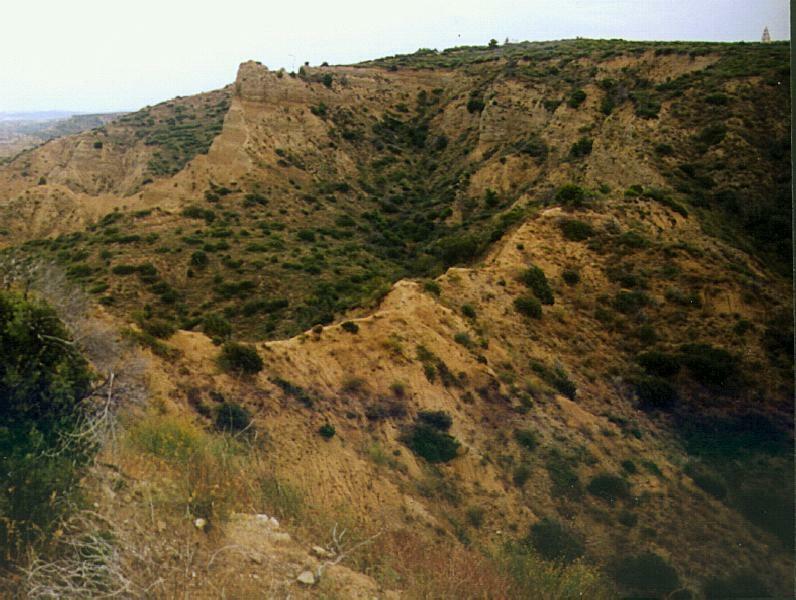 If ghosts walk, they walk in Monash Valley and Gully Ravine, and guard eternally the rocky escarpment of the Gallipoli Peninsula. Often for months at a time, nothing of any consequence happens, lizards scuttle about the tombstones in the sunshine and time goes by in an endless dream. 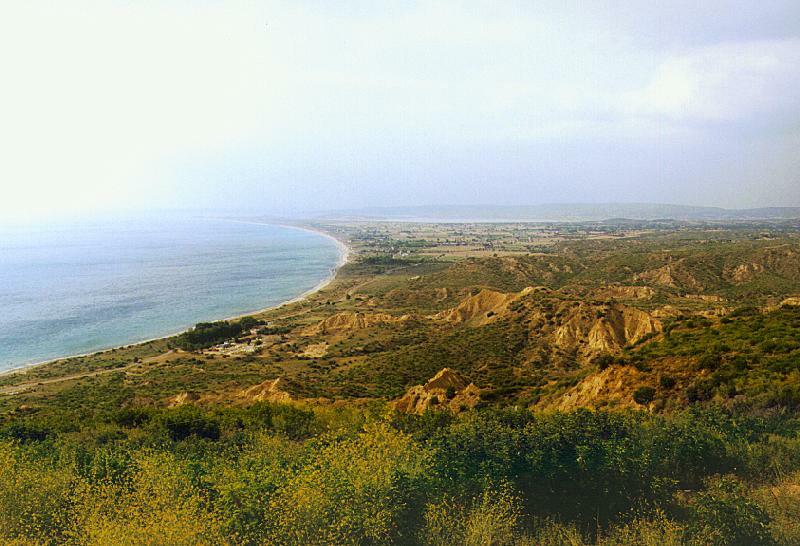 Gallipoli is probably one of the few Great War battlefields that has remained virtually unchanged over a period of more than 80 years. 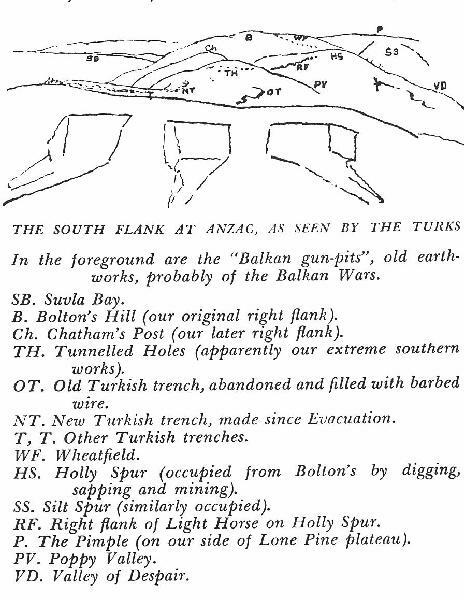 Many of the original trenches are still there and all the important landmarks can be easily identified - as if time had stood still. What follows is just a sample of the many pictures we took during our visits to the peninsula. For those interested in the 1915 campaign, we thought we might as well put the historical photographs and the new ones side by side. 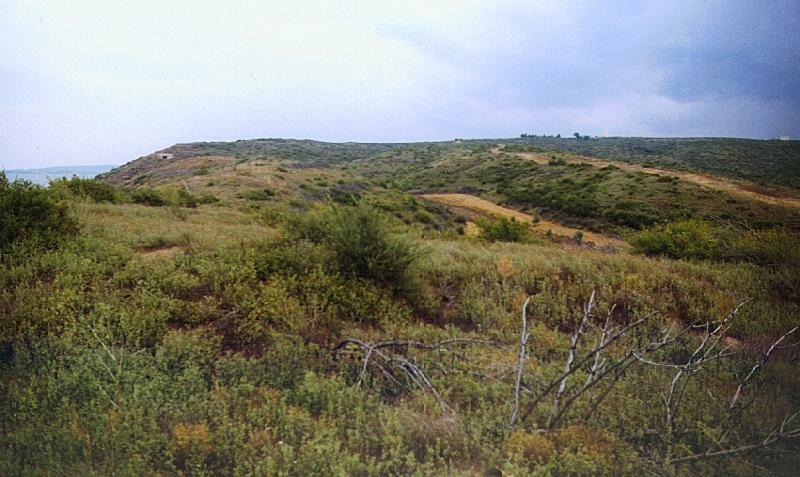 This view is from a firing trench on Plugge's Plateau. 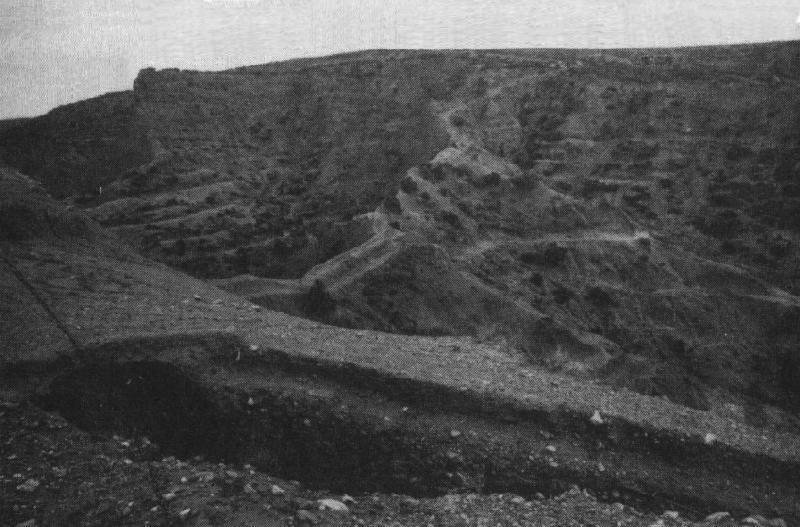 Shortly after the landing, Australian troops ran over the Razor Edge only 15 inches wide - from Plugge's to Russel's Top. 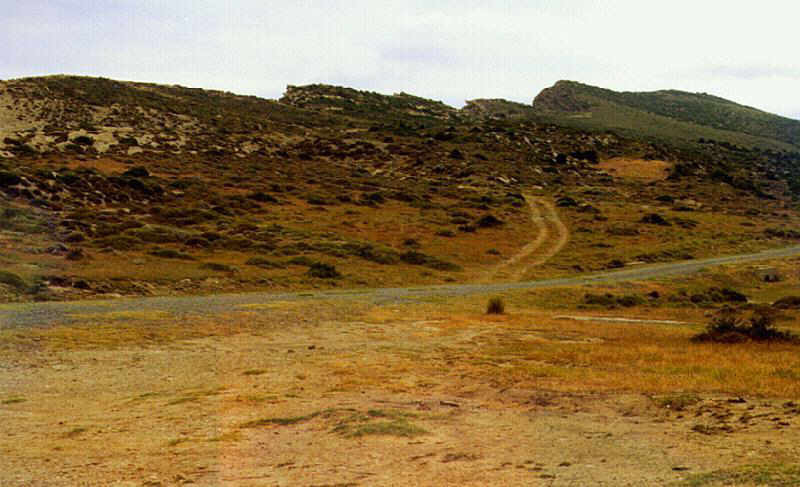 At left, a steep slope descends into Reserve Gully and at right into Rest gully, a branch of Monash Valley. Both were among the few places that offered some protection from Turkish fire. As seen from Walker's Ridge looking north. 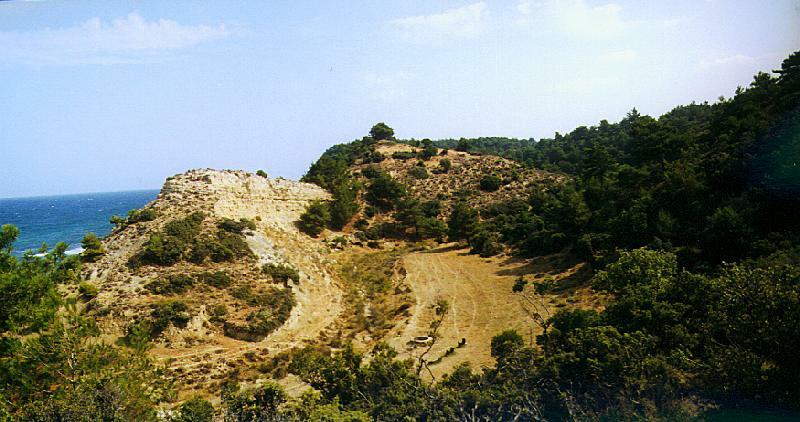 In the foreground are the Outposts - firing positions that were not connected to the main line. The building under the trees is where today new headstones for the cemeteries are made for the War Graves Commission. 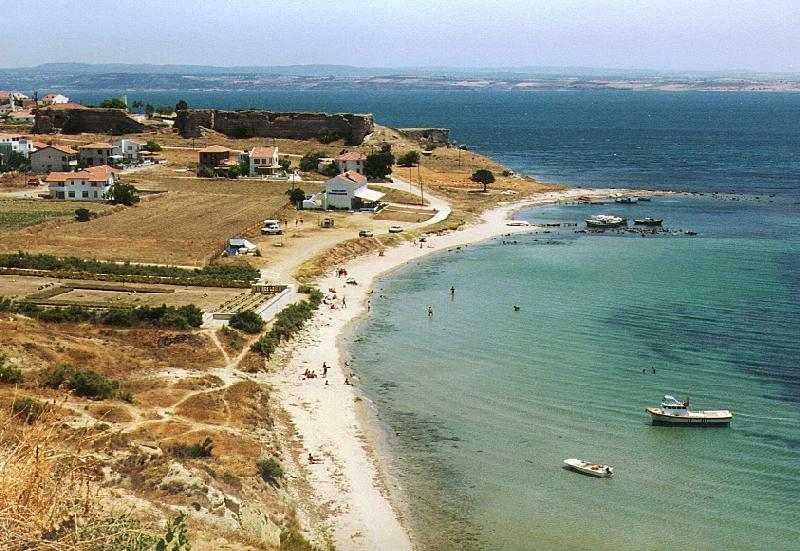 In the far distance is Suvla, with Nebrunesi Point at the end of the bay and the salt lake in the middle. 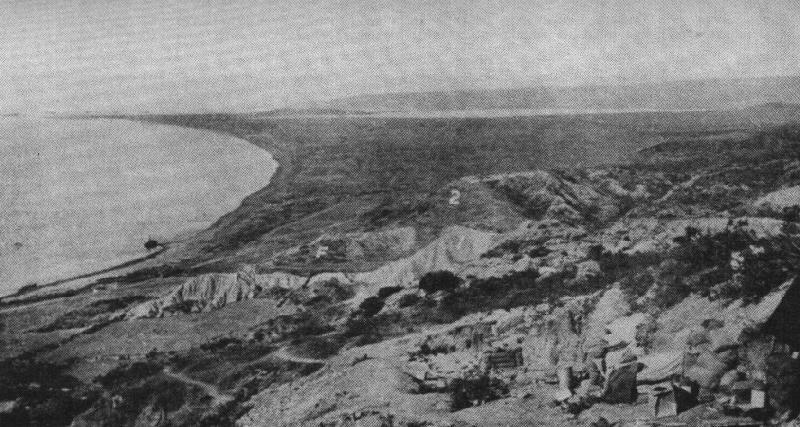 Looking south from the original intended landing place for the Australian Force to the strongly defended headland south of ANZAC Cove. During the Campaign an unsuccessful raid was organized to capture it. In the banks near the beach there is still evidence of holes dug by the attackers to protect themselves from machine gunfire. 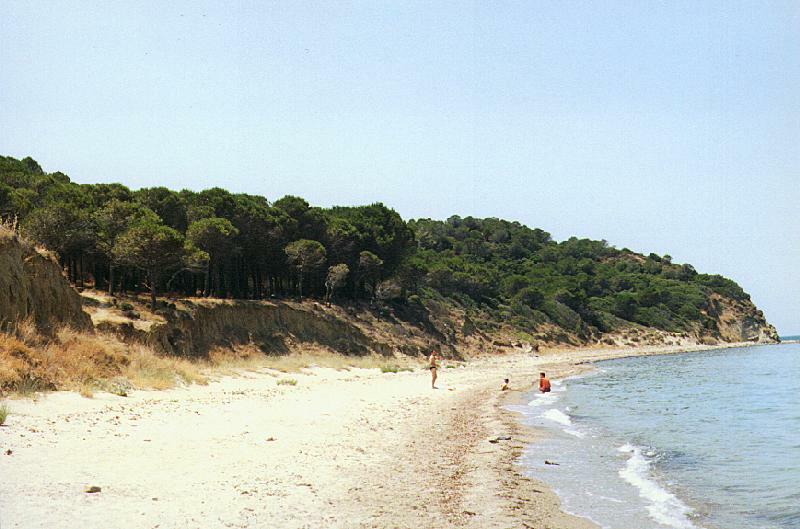 There are no original photographs of some portions of the ANZAC line. 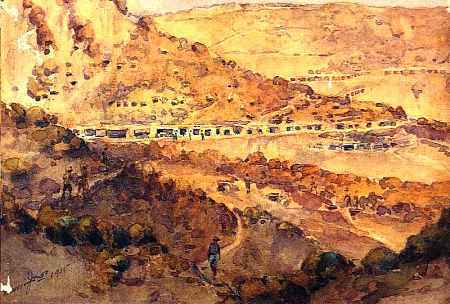 The drawing looking north at ANZAC from the Turkish lines was made by C.E.W. Bean in 1919 and published in his 'Gallipoli Mission'. This entrance is to one of the main approaches to the front. Notice the concrete well drilled by the Royal Engineers during the campaign and still operational today. 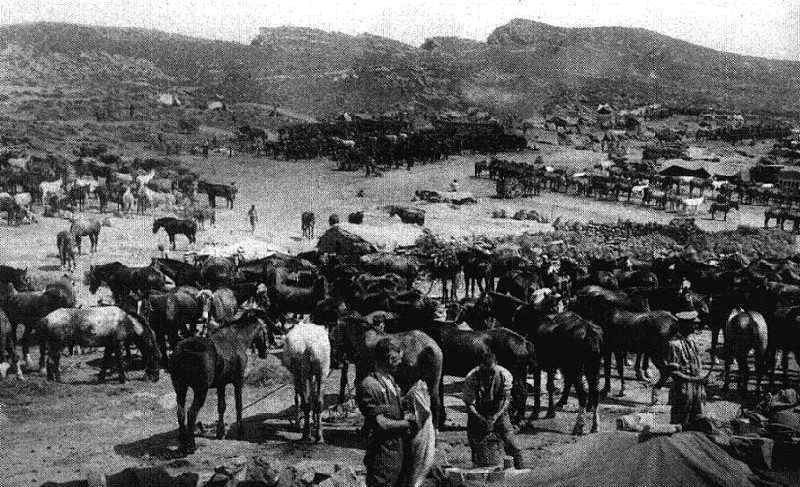 In the original photograph, horses are being watered. 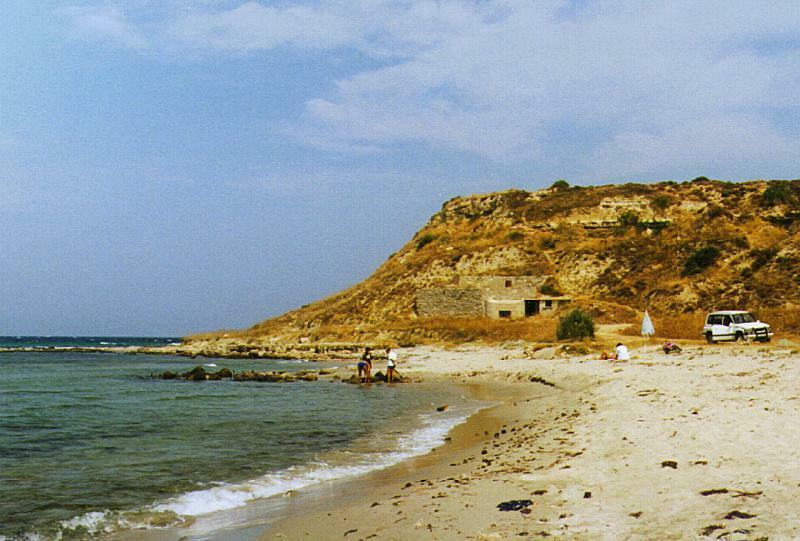 From the cliffs near Fort #1, looking at the Old Sedd el Bahr Fort. 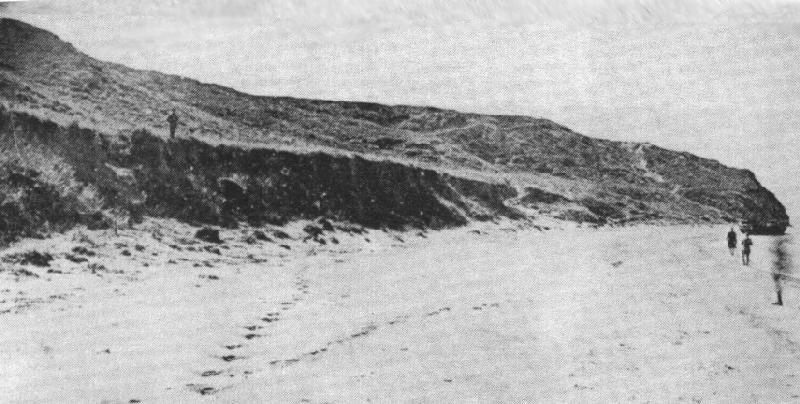 In the new picture, both the place where the River Clyde was grounded on the beach, and the low bank under which the survivors of the landing hid for the rest of the day can be clearly seen. The cemetery contains the graves of the Dublins and the Munsters. 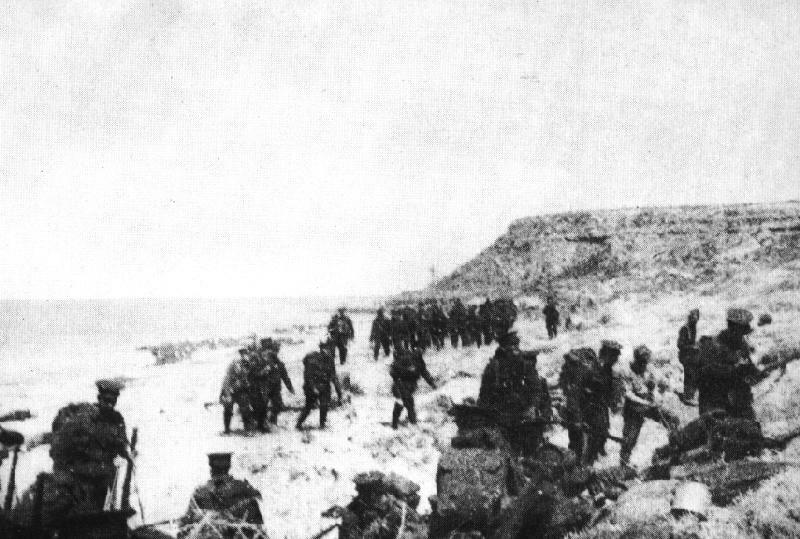 Looking west within the old picture - troops shortly after the capture of the beach, which was to become known as Lancashire Landing. Looking east later in the campaign. In the new picture the remains of one of the piers. 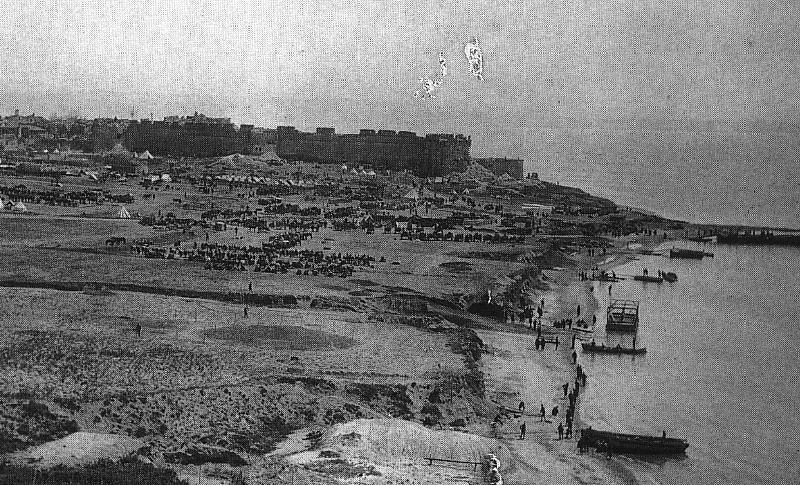 Soon after the August landings by the British, the shore around Suvla bay became one big army dump used to supply the troops further inland.